We believe that farm-based education is among the most effective and promising forms of environmental, experiential, and place-based education because of the innate ability in all people to connect to farms. We believe that farm-based experiences promote life values by relating to the social, moral, cognitive, and emotional aspects of the human experience. We believe that hands-on learning on farms builds confidence, self-awareness, and individual and collective responsibility which leads to the sustainable stewardship of our world. We believe that there is real pedagogical value to learning while working on a product or process that will have lasting value beyond the task at hand. We believe that practical lessons on farms enhance and reinforce theoretical learning in schools. ​We believe that farm-based education promotes respect for nature, manual work, individuals, and community. 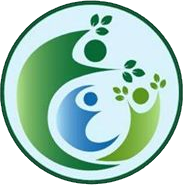 ​We believe in the practice and promotion of sustainability in all aspects of society. ​We believe that the raising of food is fundamental to our society and that all people should know about agriculture and where their food comes from. ​We believe that experiences on farms affect participants far greater than the specific programming such that the peripheral experiential learning is deep, significant and truly transformative. ​​We believe that the natural rhythms and cycles seen and experienced on farms leads to a deeper and accessible understanding of the world.